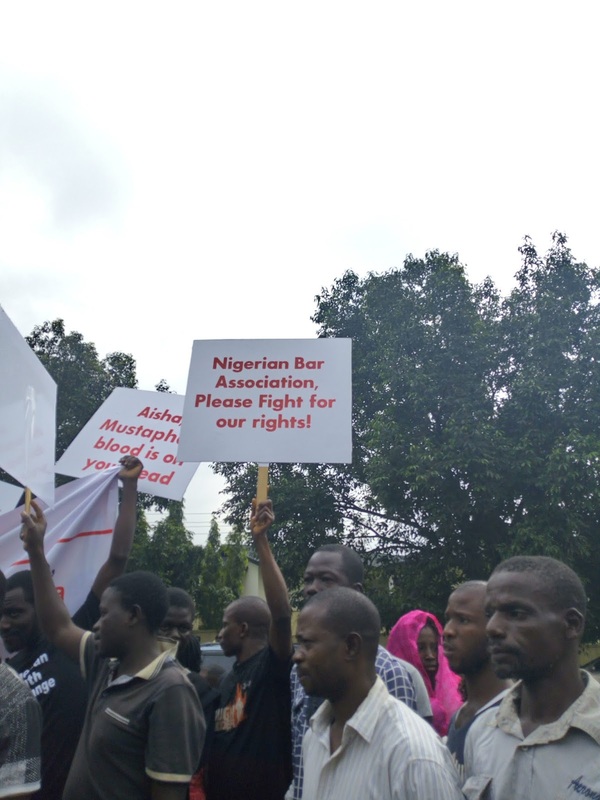 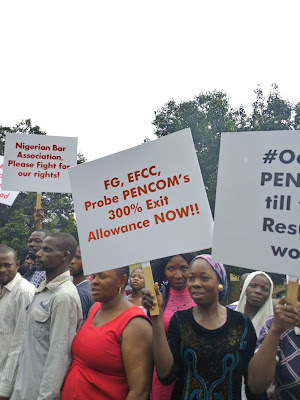 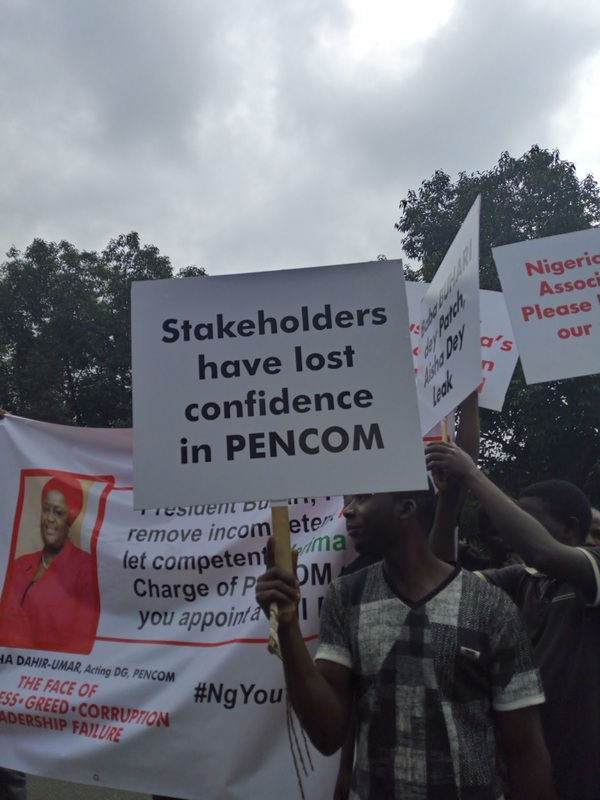 Protesters under the aegis of the Nigerian Youth for Change have besieged the headquarters of National pension Commission in Abuja demanding the sack of the acting Director General of the organization, Mrs. Aisha Dahir-Umar for various acts of corruption. 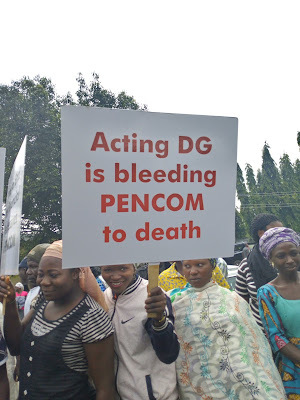 The protesters carried placards with inscription such as Aisha Dahiru-Umar, what kind of heartless mother are you, stakeholders have lost hope in Pencom and Acting DG is bleeding Pencom to death. 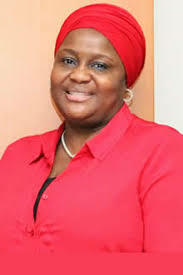 Coordinator of the group, Comrade Azubuike Okafor accused the Acting Pencom DG of collecting 2 million naira each from candidates seeking employment into the organization while cancelling a valid employment process which was initiated before she took office. He added that 43 candidates who were issued employment letters after going through the recruitment process were denied employment by the Acting DG, leading to the death of one of the candidates who lacked funds to attend to his health. Speaking further he said the group had drawn the attention of the Secretary to the Government of the Federation Boss Mustapha, who he lamented was wrongly briefed on the situation by the Acting Pencom DG. 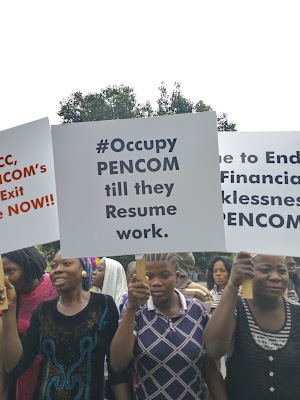 He however insisted that checks at Pencom showed that the 43 candidates were recruited in accordance to due process. 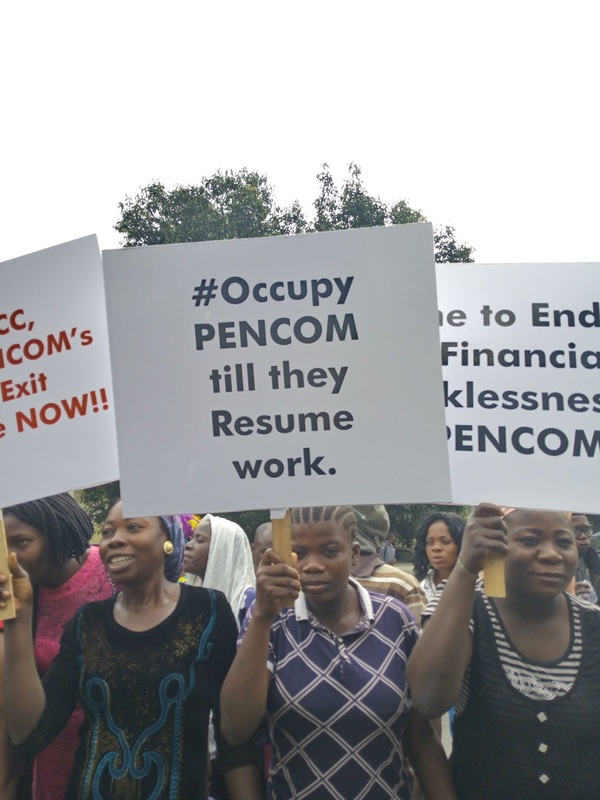 Efforts to speak with officials of Pencom who came out to confront the protesters was not successful as they insisted on not speaking with the press.